Life! It can be so stressful that your whole body suffers. Try Linden Tea! It's the perfect soothing tea! It’s the perfect tea to put you back on your feet! Linden herbal tea is made from the flowers, leaves or bark of the linden tree, but before starting to brew your tea, let’s take a look at what exactly linden is. If you live in Europe or North America, you have most likely come across this fast growing deciduous tree already, as it is native to the temperate climates of these regions. Perhaps you just know it by a different name, such as basswood, lime tree, lime flower, or silver lime? Well, whether linden or lime, the two species of linden, out of about 20 to 45 different ones, you should be looking at are tilia platyphyllos (known as the large-leaved linden or summer linden) and tilia cordata (the small-leaved linden or winter linden). The first, T. platyphyllos, can reach 40m in height (approx. 130 feet). The bark is smooth and dark gray while the small twigs are reddish-green in color. Its dark green leaves are large, measuring from 6 to 9cm (2.4 to 3.5 inches) long, are heart-shaped and have a serrated edge. This tree blooms in the beginning of June. As for the T. cordata, it grows to 20-38 meters high (65-125 feet) with smaller leaves (3-8cm or 1-3in long). Blooms come in late July. 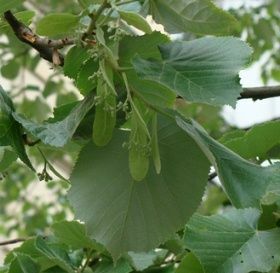 The flowers of the linden tree are the most valued part of the plant. They are small, yellowish-white and have a very pleasant fragrance. When dried they are mildly sweet and somewhat sticky. Finally, linden trees bear small, round fruits that are cream-colored, sweet and sticky like the flowers and mucilaginous as well. Linden infusions have been called the "nectar of kings" since ancient times due to their powerful health benefits. From treating headaches, digestive disorders to soothing the nervous system, this mild sedative was used by Native Americans to improve health much like it was by Middle Age Europeans. Not long ago World War II soldiers were said to drink this tea to bring calmness. Whether this is true or not, the Linden plant is still greatly appreciated today. They fill our city streets with wonderful fragrance in the spring time. Young leaves are used in salads or to thicken soups or stews. Flowers are turned into cordials or wines and used in skin care products for their wonderful smell. And, of course, leaves, bark and flowers are still brewed today as tea for their many health benefits. 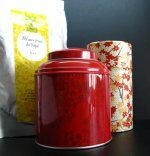 Linden is ideal for making a nourishing cup of tea. It contains many vitamins, antioxidant flavonoids, soothing mucilage, tannins or volatile oils. All these components work together to give you many and diverse health benefits, so let’s see what they are. This tea may be the perfect way to end a stressful day. It is calming and relaxing, helping you to get some much needed rest, particularly when you are in need of an insomnia cure and something to soothe your nerves. But this is not all! Linden herbal tea also eases headaches, in particular migraines. By calming the mind, it is great to drink when you’ve been pushing your brain hard with work or study. Just take a break with a cup of tea, and you will be refreshed and rested to start again tomorrow. The great thing about this herb is that it is safe for children, so they too can enjoy a cup of tea or a relaxing linden herb bath particularly when feeling irritable or restless. Great for hyperactive kids. So give your little one a soothing bath before bedtime. Unfortunately, nervous tension usually leads to digestive issues. Indigestion and even vomiting may occur when you are really stressed, particularly if you have a weak stomach to begin with. Linden tea is an overall calming tea that may help you feel better. To start you off on the road to recovery, linden herbal tea begins by soothing the digestive tract, this means relief from indigestion, ridding you of stomach pains by reducing spasms along the smooth muscle of the digestive tract. This tea is also known for stimulating the digestive process, which means it may help to increase your appetite. Linden infusions are great for you when you suffer from irritable bowel syndrome, healing ulcers, reducing flatulence, bloating sensation and diarrhea. Great for when the pain just seems to take over your whole day. One of the great benefits of tea made with linden flower is its ability to treat gastrocardiac syndrome. This occurs if you have excessive gas forcing your stomach upwards and thus putting pressure on your heart. This calming tea helps to relieve your gallbladder problems (not useful for gallstones, though). It increases bile flow and stimulates the liver function. This benefit occurs mainly when you prepare your linden tea by using the inner bark of this healing tree. With its diuretic action, linden herbal tea increases urine production, helping to rid your blood and body of unwanted visitors. This cleansing action helps you to fight urinary infections, so though you may need to go to the bathroom more often, it will in fact help if you suffer from incontinence due to a poor kidney function. Another great benefit of using this linden bark tea as a cleansing tea is that it helps clear cellulitis as it can rid your body of toxins that cause this particular type of skin inflammation. Relaxing and reducing nervous tension are a great way to keep your heart healthy. So when you are drinking linden tea for anxiety you will find that it can help reduce worrying heart palpitations and arrhythmia. This wonderful tea may be exactly what you need to reduce the risk of hypertension and cardiovascular diseases and also ease the tension on blood vessel walls, having the effects of an anticoagulant and a vasodilator. This heart protective action in linden tea can also help prevent the buildup of plaque in artery walls. This makes blood vessel walls more elastic thus promoting blood flow. Though this tea may help improve your cardiac health, if you suffer from any heart diseases, be sure to please read the Side Effects section carefully. Feeling under the weather? Can’t stop sneezing or coughing? It is most likely that you’ve caught a cold. Then linden may just be your cup of tea. Start drinking this tea as soon as you start feeling the first cold symptoms and it will help relieve sore throats and coughs as it is a great expectorant. Linden tea brings relief to your nasal congestion and reduces the feeling of a stuffy nose. Here’s a tip: sweeten your tea with honey for added health benefits. If your cold develops into a fever, then this tea will be particularly helpful as it promotes sweating and thus brings down the temperature of your body while at the same time it expels the harmful toxins that are causing infections and making you sick. Steam baths not only may help to clear the respiratory passageways but also benefit your skin by opening pores, clearing it of dirt and pollution. This may prove helpful when you have dry skin or bad sunburn. It can also be used as a tonic for you to freshen up. Soothes irritated skin, reduces swelling and even serves as a remedy for puffy eyelids. Just use a cotton ball soaked with warm, not hot, tea. Some say that this tea when applied directly to the skin can bring relief to joint pain and certain leg wounds, especially if brought on by poor blood flow. Its soothing and relaxing action makes it a great tea when you suffer from morning or motion sickness. And can also bring you relief from painful menstruation. Being an antifungal tea, linden inhibits the growth of foodborne pathogens. So you’ve decided to drink linden tea? Well, it’s great to know that you will be feeling better soon. However, let’s just give you some pointers so that you can experience this tea at its best and safest. Can too much linden tea be too much? Though further studies are needed, you should only drink up to 3 cups a day and then for short periods of time. Too much and for a long time, may cause heart problems. More than the recommended amount per day may also increase your need to urinate too much, especially if you are taking diuretics, causing dehydration. When is this NOT the right tea for you? If you are pregnant or nursing mother, do not take this tea without at least talking to your doctor first. Avoid this tea if you have a history of heart disease. If you really like linden, then seek your doctor’s opinion, and if he approves of you taking this tea, please always stay within the recommended 3 cups a day. Unfortunately, some of us may be allergic even to great herbs like linden flower. So if you experience such reactions as hives, skin rashes or difficulty breathing, stop drinking this tea immediately and if the symptoms don’t subside, go see your doctor at once. 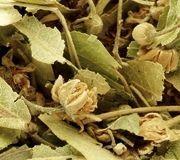 Due to the presence of mucilage in linden tea, it is best not to take this tea within 2 hours of taking vitamins or other supplements. Your body’s ability to absorb nutrients may decrease. Be careful when taking lithium along with linden tea, as the herbal infusion may interfere with your body’s ability to get rid of lithium from the blood. Go ahead and talk to your doctor first. Learn how to make linden tea and begin your relaxing time today. Linden tea can be made using linden flowers, leaves or the bark itself. 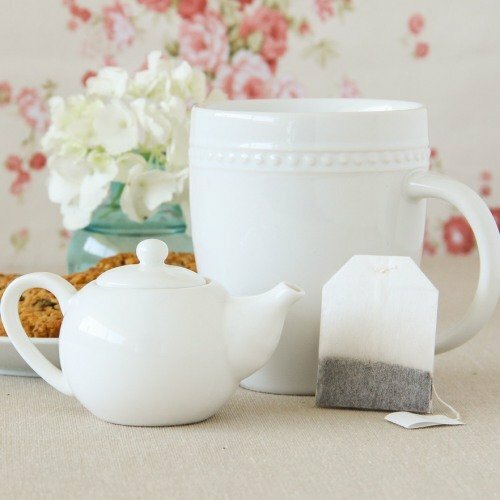 So let’s take a closer look at how you can use either leaves or flowers to make your tea. Take about 15g of dried leaves, or 5g of fresh leaves, per liter of boiling water. Let rest for about 3 minutes and then drink a cup of tea before bed. Sip slowly and relax. Enjoy a peaceful moment with your linden tea. Flowers can be used dried or even in powdered form to brew your linden tea. For a cup of tea, pour a cup of boiling water (8oz or 250ml) over 1-2 teaspoons of fresh or dried linden flowers. Let rest for 10-15 minutes and then drink. This tea may be taken 3 to 4 times a day – children should drink lower amounts adjusted to their weight. If you are suffering from an acute problem, you may increase your tea intake; however, do this only for one week and no longer. It is a pleasant amber tea that blends well with other herbs, bringing harmony to more harsh tasting brews. Still, you can sweeten it with honey, which may be particularly healthy when curing a cold (find out more about this and other health benefits of honey). For colds and flu, you will want to blend linden with elder flower or elderberries. For a restful night, prepare a linden flower bath. It will quiet the senses and relieve stress. Prepare 100g (3 1/2oz) of dried or fresh flowers, by boiling in approx. 2 liters of water. Then, steep for 10 minutes or more. Filter and add to your bath water. 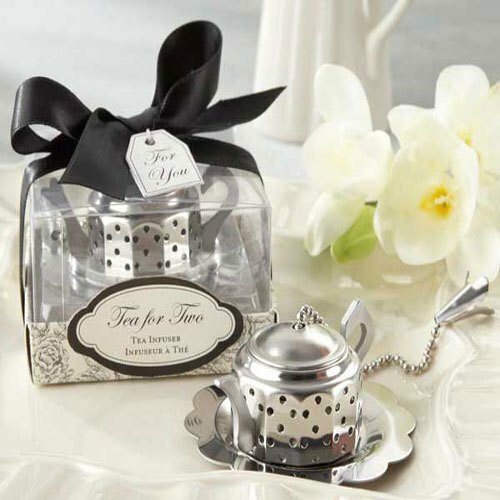 Light a few candles, put on some soft music, relax and enjoy the moment that linden tea is offering you. Buy Your Linden Tea Today! Click on the image or on the links below to purchase from Starwest Botanicals your Organic Linden Leaf and Flower. Make your linden tea with organic linden leaves and flowers and enjoy a relaxing cup of tea. Click on the image or on the links below to purchase from Art of Tea your Feel Better Blend. This wonderful herbal infusion blends the relaxing action of linden flowers with organic rooibos, digestive fennel, orange peel and raspberries and other herbs to give you a tea that is both conforting and invigorating at the same time. It may just be the right tea you have been looking for.